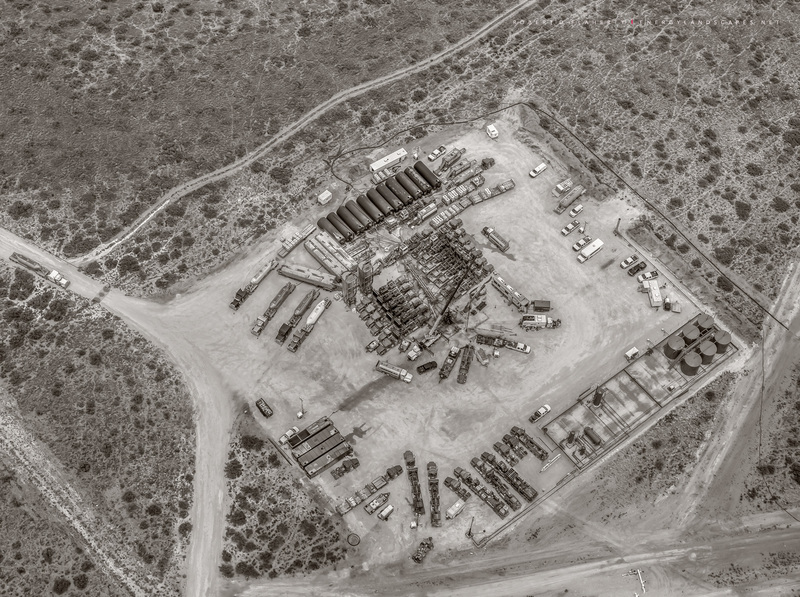 This is a high resolution aerial detail featuring water assets on an Eagle Ford lease in Southwestern Texas. 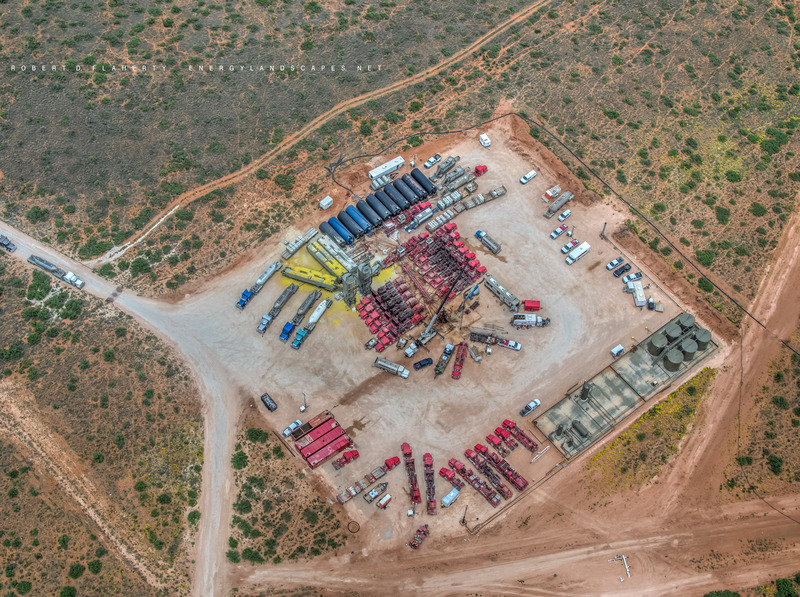 Water Assets Panorama #2 features four 40,000 barrel frac containment ponds on a Mycelx water recycling location in the Delaware Basin near Orla Texas. This is a high resolution 3:1 aerial panoramic image suitable for fine art prints up to 100 inches. The photograph is part of a three part set featuring different angles of the same location. Fine Art Oil & Gas Photography By Robert D. Flaherty. Photo © copyright by Robert D. Flaherty. 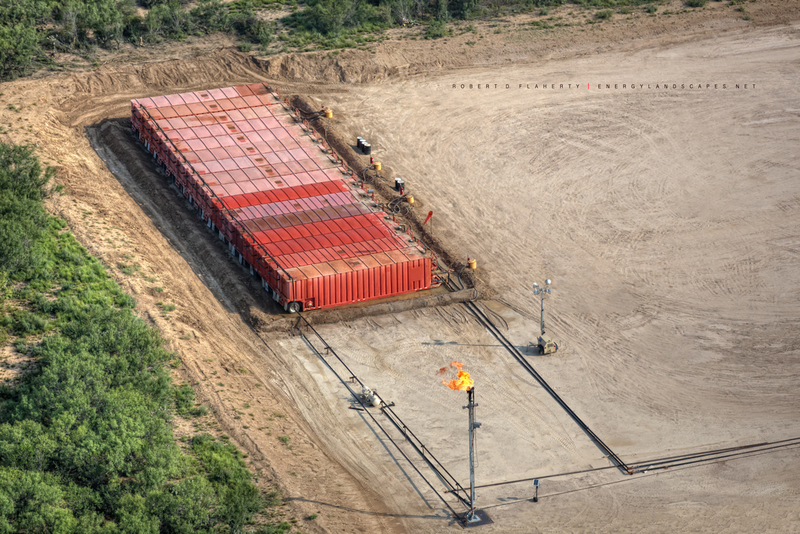 Water Assets Panorama #1 features four 40,000 barrel frac containment ponds on a Mycelx water recycling location in the Delaware Basin near Orla Texas. This is a high resolution 3:1 aerial panoramic image suitable for fine art prints up to 100 inches. The photograph is part of a three part set featuring different angles of the same location. Fine Art Oil & Gas Photography By Robert D. Flaherty. Photo © copyright by Robert D. Flaherty. Space To Reflect is a very high resolution composite panoramic image taken in the 3:1 format. The image was made in the far Western Delaware Basin in April 2015. The image was made from a mountain top straddling the Texas and New Mexico border. A COG frac tank is featured in the foreground with Cactus rig 148 drilling rig. The assets are flanked by Guadalupe Pass. Five years of rainfall in only ten months has made for an unusually colorful Spring in one of Texas driest places. The recent decrease in activity has allowed the dust to settle if only for a little while. Photo © copyright by Robert D. Flaherty. 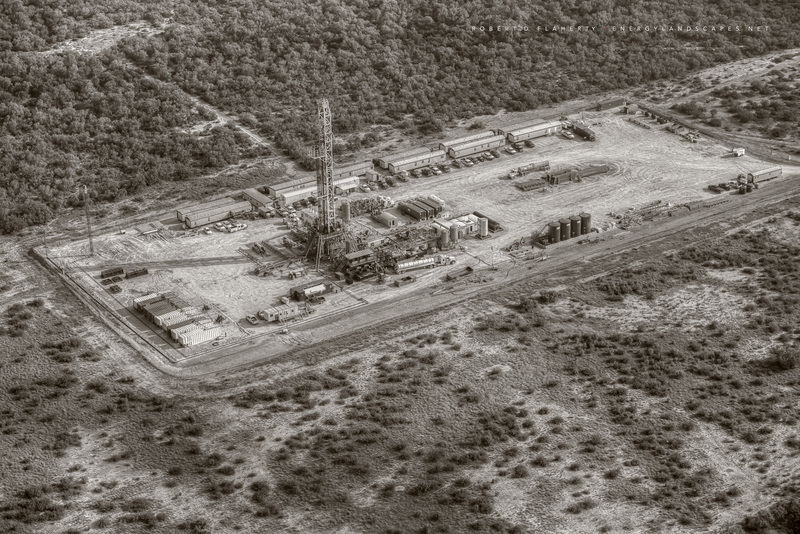 Eagle Ford Frac Detail in Sepia features an aerial view of a frac job in the far Western Eagle Ford near Carizzo Springs Texas. Fine art oil & gas photography by Robert D. Flaherty. Photo © copyright by Robert D. Flaherty.